Meet the leaders in Patient Experience who have joined with CX University to steer the PX Competency Training program to greatness. Each Advisory Board member brings to the table their unique expertise and wealth of experience in the healthcare industry. Our blend of PX experts sharing their wealth of expertise. Garrett Arneson is a successful Senior Healthcare Operations Executive with 20 years of experience as a CEO. He is currently the CEO of an award winning, specialty hospital in eastern Pennsylvania. Garrett’s leadership focus in his career has been primarily in small, specialty hospitals which allow him to utilize his Nursing background while maintaining expertise in a variety of leadership areas. He has held hospital CEO positions in Colorado and Pennsylvania in both LTACH and Bariatric Surgical Acute Care Hospitals. He has an extensive background in general hospital management, governing board leadership, medical staff recruitment and development, quality and compliance, financial success, customer satisfaction, and patient engagement. Garrett actively engages in lifelong learning and recently completed a Graduate Certificate in Healthcare Compliance from the George Washington University, Washington, DC. He also possesses a Master’s Degree in Health Systems from the University of Denver and a Bachelor’s Degree in Nursing from South Dakota State University. He is a Fellow in the American College of HealthCare Executives. Connie Cowley, DNP, RN, CPHQ, NE-BC, is an Improvement Advisor at NICHQ with a clinical background in pediatric ortho/neuro rehabilitation, and has extensive experience in quality improvement (QI), clinical operations, education, and program implementation. Connie received her Doctor of Nursing Practice (DNP) from the Massachusetts General Hospital (MGH) Institute for Health Professions. She has a particular interest in the evaluation of training in QI for frontline staff. She is a Certified Professional in Healthcare Quality (CPHQ), and a Board Certified Nurse Executive (NE-BC). Dr. Cowley is currently a 2nd Year Fellow in the Veteran’s Administration Quality Scholars Advanced Fellowship Program (VAQS). She is an Adjunct Instructor at the MGH Institute for Health Professions where she serves as the Institute for Healthcare Improvement (IHI) Open School Faculty Advisor. She teaches QI at both the undergraduate and graduate levels. Dr. Cowley supports NICHQ projects through expert consultation, coaching, and education in quality improvement tools and methods, measurement, implementation, and change. As a healthcare leader she has worked to improve care delivery in a wide variety of acute and post-acute settings for over 24 years. Kathleen Peterson, RN,BSN,MSN-Ed, has been a nurse for 34 years, entering the profession in Arkansas. 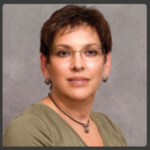 She holds both a Bachelor’s Degree in Nursing and Master’s Degree in Nursing Education from Seton Hall University. Kathleen believes her nursing education has served as a platform for continued lifelong learning. She has extensive clinical experience across the life continuum in skilled, acute, and long term acute care. She has held staff, supervisory, administrative, and educational positions. Kathleen has been active in spearheading quality improvement initiatives and has been successful in leading compliance efforts. Having spent over thirty years as a practicing nurse, she remains passionate about all aspects of her chosen profession, but particularly about upholding an individual’s rights and treating each person with dignity and respect by placing their needs, preferences, and wishes at the center of care. Kathleen is an advocate for patient engagement and providing exemplary patient experience. 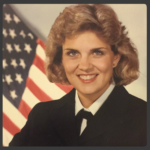 A former Navy Nurse and experienced, certified professional in quality (CPHQ), Michelle has excelled in leadership positions for facilities varying in size from small Long Term Acute Care facilities, medium sized for-profit acute care hospitals, large academic medical centers and military health care facilities of all sizes and functions. Having earned a Bachelor’s of Science in Nursing with Master’s degrees in Health Care Administration and Health Studies, she is currently working towards a Doctorate in Health Administration. Michelle has strong leadership, analytical, project management and presentation skills. 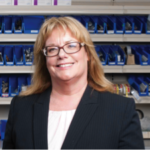 Michelle’s strong quality background encompasses focus on patient experience, ongoing readiness with regulatory and survey preparedness and response, and facilitation of performance improvement teams using Lean/Six Sigma principles.